Couple of days ago, on a very last September's day, a very unusual and bright sunshine beamed through the open window directly toward our bed and my still not completely awakened face. It was incredibly beautiful Sunday morning and with half-opened right eye I tried to glimpse our small digital clock and like usual I needed to turn on my extra-powered vision in order to see the time. After couple of seconds of adjusting, grimacing and winking, the very last morning dream finally faded away and I saw that I overslept again, like in almost established tradition for couple of dozens of Sundays in the past. 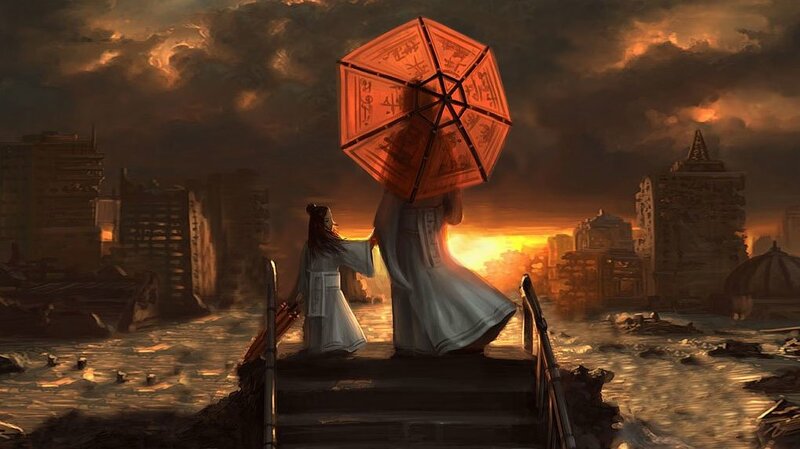 It was perfectly fine, my wife and son, who again moved to our bed at some point of the night, were still sleeping under the amber-colored sunlight enjoying their night adventures in their morning dreams. I got up out of bed and during my morning routine performed in slow motion, including checking for new messages and emails, I saw weather prognosis for the day of 35 degrees (95F) and the fact that previously in this part of the world hot like this last time happened 70 years ago. It was perfect non-working day and we shared light breakfast on our large balcony covered with many branches of two birch trees amazingly tweaking the morning light all over the place. If you add to the scene loud sound of fighting sparrows and familiar distant voices of city doves one could easily forget that the day after was October 1st and not some bright day in the middle of July. It was one really great day. Not really filled with much excitements and dynamics but Sundays are supposed to be like that. No matter how entire week left, we simply know it would end with weekend and relaxing Sunday. That's how life works. We simply got used to its loop. Sundays will always be there, right? Hmm, actually, there is no solid guaranties. That's life. It is pretty unpredictable. Every now and again I stumble to this question of what life really is and I also read many definitions (including the one proposed by Homer Simpson) but to tell you the truth until we learn something essential I am tending to think that life doesn't have a definition at all. Instead it is what is happening daily and we can only describe it, just like I tried to do at the beginning of this post. I am sure Sunday stories are more or less familiar to all of you, it is one of those nice moments in life we all experience from time to time. But, the question is do we take life for granted? Are we, with all our heritage, living kind of a boring life where sun is the same every day, where summers are always hot and winters cold, where rains are just water falling down the sky and quality of air is always as it suppose to be? Are we simply too accustomed to the life we are living today? To the light coming out of light bulbs, refrigerators working 24/7, radiators always warm, TVs and Internet always there, cars working fine, to our society, our neighbors, friends, everything? What if all that stops. What if Sun doesn't come in the morning? And the day after. Months and years after. What if something happens and we lost everything in a cosmic blink of a second. Are we ready for this? 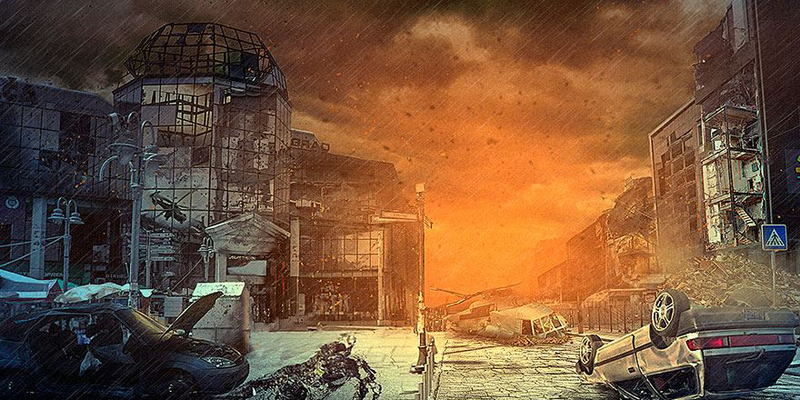 Are we ready for the apocalypse? I guess we all know the definite answer and despite all post-apocalyptic movies and heroes saving us and prolonging human race for the better future we know in our core that this would be very hard to survive and those who by some miracle happen to avoid immediate death will not be actually the lucky ones. In one word it is kind of a reset button nature is pressing after realizing there was no other way. 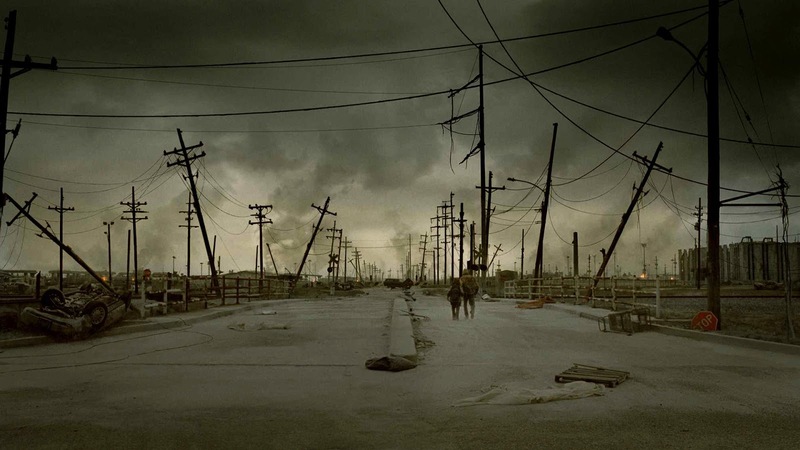 Actually, apocalypse is one of those 'biblical' words I don't like very much as it is not clear what they really represent and instead in this post I like to write about 'survivable' catastrophic events we can do something about after they happen. Earlier this year I wrote about 'Doomsday' in general from the 'Mayan prophecy' point of view and tried to enumerate all possible deadly scenarios and if we eliminate those capable of wiping out the planet along with all life forms in it, like catastrophic eruption from our sun or explosion of nearby supernovae or super collision with massive asteroid or comet what we are left are those events that 'only decimates' human race and other life forms and provide a tiny way out for survivors. Whatever how they work, either by astronomical collision with smaller object, eruption of super volcanoes, nuclear holocaust, global warming effect, small ice age cycles or something else they all have one thing in common, they all block the Sun for months and years before atmosphere cleans up. Time just enough for destroying all plant life and decimating animal life as we know it with complete extinction of many endangered species. The chaos of epic proportion, besides strict immediate effect by natural cause are unthinkably amplified by full or partial destruction of human technology we are so dependable to. I am sure, by now you are thinking if you are by chance one of those 'lucky' survivors, what would you do? How to survive cruelty of broken ecosystem in such harsh environment and even more what to do after Sun comes back and finally finds its way through tick clouds and polluted atmosphere? Let's start with first part, surviving the dark months where every next day would be harder than previous one. It would be cold and nature would slowly fading down. The food and energy would be harder and harder to find. Death and diseases would be everywhere and after couple of days or months when all supplies are gone, there is only one thing capable to provide bare survival. If you thought the most essential effort is to prepare large pile of supplies, food, medicine, guns, blankets, gasoline, batteries, flashlights, water and air filters, gas masks, various devices that would help you withstand the dark period you couldn't be more wrong. That one thing is knowledge. Knowledge of how to beat the cruelty of what happened. Its worthless to have lots of drugs and not a clue what actually they are for or the biggest pile of batteries and no knowledge of how to recharge them. Don't bother to learn everything now. It wont work. Nobody can remember a tiny detail when it is needed, so the only solution is to carry all the wisdom with you in all the books and small computers you can carry. Yes, I said computers, don't throw them just yet, keep all the electronic books and manuals inside your laptops and learn how to recharge the batteries by using nothing but the wind or water flow. They can carry not just surviving skills but and also very important knowledge of how to make it after in stage two when all is over and nature renew itself. Next, now when all the knowledge is acquired we can get back to piling things. The very good practice is to get all the goods now but not to get hysterical about any apocalypse coming tomorrow and buy tons of canned food or dig a big basement with state of the art air filters and buried tank full of fresh water with purifying system. Remember, the life is now, don't waste it for some disaster that might not even come in next century or more. No, getting extra stuff should be meant for today and with good use for tomorrow, for example, if you are having a weekend house it is a very good idea to get yourself all those green systems, like wind turbine generators capable of charge car batteries or zero waste emission filters. Same is with water and heat, if you can dig a well or make a heating system based on reverse refrigeration. It will serve you well now as well as during any blackout. Piling food and medicine wont work either, remember in some cases survival could take years and there is no use of expired drug of meat. Learning how to hunt and grow food in order to provide life for your family is essential as well as how to cope when it comes to sharing, exchanging and defending stuff. I am not intending to write this post as a know-how tutorial of surviving apocalypse, instead it is just a small guidance of what's right and what's not from my point of view or to simplify it even more it is just a way of how I am thinking about it and how would I try to do if or when the time comes. This surviving part not only that is very hard and dark but also desperate from many angles. Desperate people do bad things in order to survive. Don't be the one. Yes, you can survive by stealing and killing, but this is not the way out. Unfortunately, there will be people thinking and doing just that. Avoiding conflicts as mush as possible is also essential. Killing other human being even in self-defense leaves a permanent mark. When I was a small kid I vividly remember the scene of a small yellow dying bird in my hands. I will never forget those moments when after couple of seconds after I reached for her, she died right in front of my eyes. And I was responsible. I could of save her and I didn't. Everything happened in a couple of moments and those moments I will carry with me always. On the other side death would be everywhere, especially if you are located in big cities. Get out of them as soon as possible, otherwise you will be in danger every time if you are standing near to window. I could't even think what might have happened if dark period lasted more than people's ability to resist cannibalism or to the point when all the humanity might sink deep down turning the survivors evolutionary backwards toward pure animal instincts. Let's go further, we survived the cold and dark and like in real apocalypse aftermath we, in this post, reached the part where the Sun passed through all the clouds, air is getting cleaner and nature is ready to get another shot. If you might think all is over you could'n be more wrong. Again we need to survive but this time maybe even more dangerous threat. Humanity would be faced with its biggest enemy - itself. There will be no police, no military, no organized cities or any working societies and there will be gangs, people with guns, private militias and dictators eager to establish themselves in charge at every cost. In first there will be no democracy or even a hint of organized and protected civilian society and the world after would probably look more like ours back then, during the dark ages and religious conflicts. However, with human survivors, our technology would survive as well, either in preserved hardware or in books and knowledge and over time civilization as we know it, would have a chance to fully restore to its previous state. Moreover, fresh start provides another dimension to humanity. We would be able to learn from our mistakes and try not to repeat them in this fresh new cycle, for example this would be real chance to avoid slavery, dictatorships, communism, false democracies. 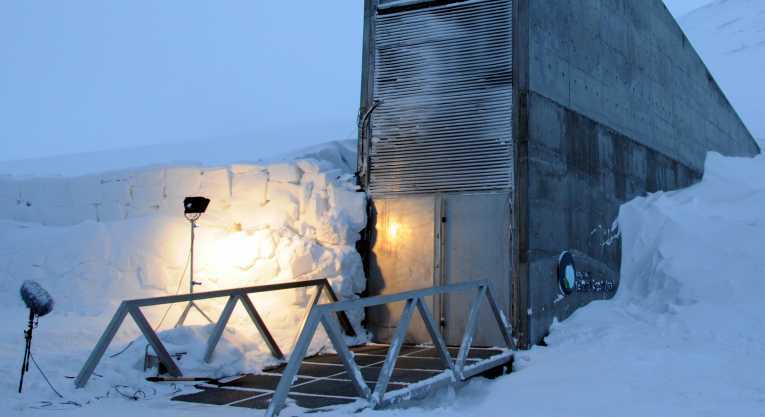 Restoring plant and animal life would also be a challenge but with help of seed banks, like 'Svalbard Global Seed Vault' in Norway the time of re-populating lost species could be lot quicker and this would be our big help to the nature. Sooner or later, we or our descendants will be faced with the ultimate challenge of pure survival. With some of them we can fight before they happen, like diverting asteroids and postponing global warming, but some are unstoppable and beyond our scope. Let's hope it will come rather later than sooner.